THE IRISH FAMILY Planning Association saw an 85 per cent jump in the number of women presenting for post-abortion care last year. That accounts for 42 per cent of its client in the counselling department. The group said improved awareness of counselling services has led to a marked increase in the numbers attending clinics and calling the helpline. Over 1,400 women, girls and couples received one-to-one crisis pregnancy counselling across IFPA’s 11 centres during 2011. On the whole, women seem to be more willing to speak about such situations, and more inclined to avail of the support services available to them. Over the 12 months, the IFPA provided sexual and reproductive services to about 19,000 clients across its two Dublin clinics. 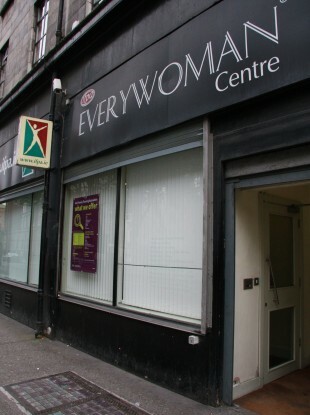 The clinics have seen a reduction in the number of private clients attending since the emergency contraceptive pill was made available over the counter at pharmacies. However, there has been an increase in the number of medical card holders requesting services but due to budget restraints, some have had to be referred back to their GPs. The organisation says it continues to struggle in the face of continuing cuts. An audit into the use of long-term contraception found that the use of more cost-effective and more reliable LARC (long-acting reversible contraception) methods should be promoted. IFPA clinics regularly saw women who are using short-term contraception, such as the oral contraceptive pill, as they are unable to afford the initial outlay of more effective long term contraception, such as the implant or coil, which can cost up to €300. The report of the review carried out over a 15-month period, however, revealed that the LARC methods are more cost-effective in the long-term despite the initial outlay. Estimates show that a woman may spend between €150 and €260 on the pill compared to an annual cost of €94 for an implant, €65 for the LNG IUS and €25 for the copper IUCD coil. Behan said the audit suggested that the LARC methods are “highly effective, less expensive in the long-term, and convenient for women”. “The IFPA would actively promote their use over the pill,” added the CEO. During the year, over 1,700 screenings for STIs were carried out at IFPA clinics. Despite the growing numbers, the IFPA believes that a lack of access to STI screenings is still a major cause of concern, particularly for young people and those on low incomes. Such tests are not covered under the medical card scheme and the association believes that current services are “insufficient and inequitable”. In 2011, 4,206 women were screened for cervical cancer at IFPA clinics – a 15 per cent decrease on the previous year. The IFPA was founded in 1969 to challenge the State’s ban on contraceptive services. It now provides contraceptive advice, vasectomy services, free cervical screening, sexually transmitted infection (STI) screening and treatment, free post-abortion medical check-ups, women’s health checks, fertility and menopause advice and pregnancy testing. Email “Increase in women seeking post-abortion care from IFPA”. Feedback on “Increase in women seeking post-abortion care from IFPA”.